An up-to-date, easy-reference dictionary with key GCSE curriculum words highlighted and a practical, fun supplement covering key vocabulary areas. 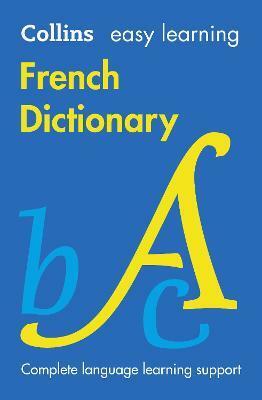 It is the ideal dictionary for learners of French, and especially for those aiming for GCSE exam success. Fully endorsed by the exam board, Edexcel. Designed for learners of French, whether you are learning for your GCSE exams at school, in an evening class, for business or to go on holiday. The entries cover everyday French and English (including all essential set expressions) and key curriculum words are highlighted to help with exam preparation. * Get it right: thousands of examples of real French show you exactly how translations are used. * Get there fast: clear colour layout takes you quickly to the words you want, with key GCSE vocabulary flagged for rapid identification. * Have confidence: a fun, practical supplement focuses on key exam vocabulary and helps you to use written and spoken French correctly. Visit www.collins.co.uk/languagesupport for free downloadable resources to help you practise and consolidate your language skills.